Enjoy a healthy snack of fresh fruits and veggies! 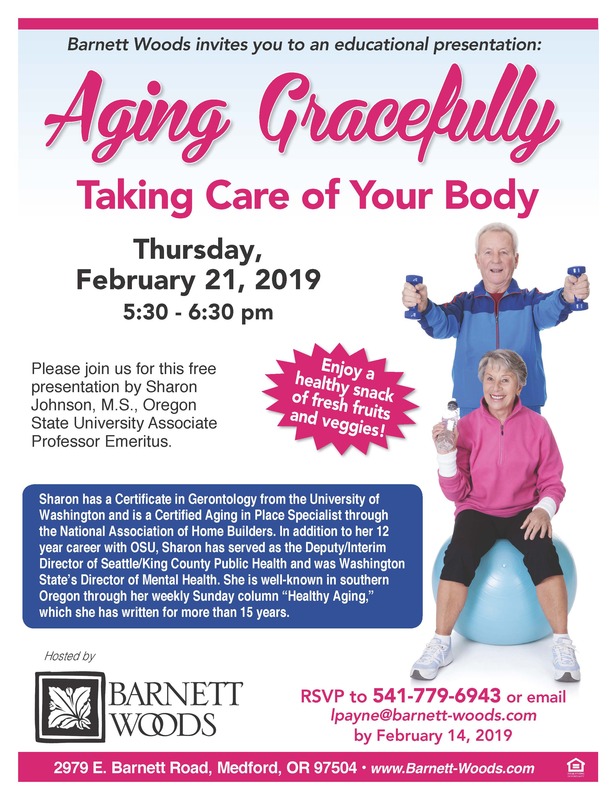 Please join us for this free presentation by Sharon Johnson, M.S., Oregon State University Associate Professor Emeritus. Sharon has a Certificate in Gerontology from the University of Washington and is a Certified Aging in Place Specialist through the National Association of Home Builders. In addition to her 12 year career with OSU, Sharon has served as the Deputy/Interim Director of Seattle/King County Public Health and was Washington State’s Director of Mental Health. 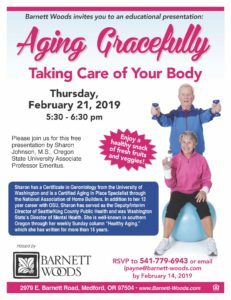 She is well-known in southern Oregon through her weekly Sunday column “Healthy Aging,” which she has written for more than 15 years.